Peer review is a crucial aspect of teacher development and is considered a powerful measure of teaching excellence. Formative and summative peer reviews of teaching provide opportunities for faculty to continuously improve teaching based systematic and validated methods. Unfortunately, the peer review process at Miami is not standardized nor are faculty trained on how to conduct or interpret peer reviews. 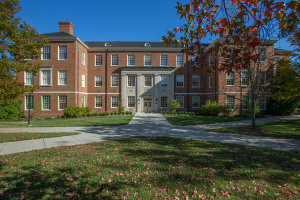 This Faculty Learning Community (FLC) will focus on peer review of teaching, and as a consequence, further the mission of the Center for Teaching Excellence "to embody and promote engagement with scholarly and reflective teaching practices to support the intellectual development of faculty and students as members of a diverse community.". This FLC will explore peer-review of teaching in terms of current literature and effective principles and methods, in an effort to establish better practices at here at Miami. The goal of the FLC is to bring together motivated individuals and work towards highlighting the importance of peer reviews, crafting guidelines for practice, and advocating for a perspective on teaching enhancement that is grounded in scholarship and research. Participants of the FLC will meet every 2-3 weeks. They will review the literature associated with peer review and establish a scholarly foundation on the core perspectives and issues present in the current research on peer review. Next, participants will examine the sections of departmental governance documents that discuss peer review or the evaluation of teaching. Also, participants will also research general forms or statements about the peer review process here at Miami. This examination of Miami's stated and unstated perspectives towards peer review will serve as the starting point from which practical and sustainable action can be initiated. Finally, the FLC group will develop recommendations about the peer review process at Miami and also outline a workshop for training future peer reviewers and developing a corps of peer reviewers here at Miami.